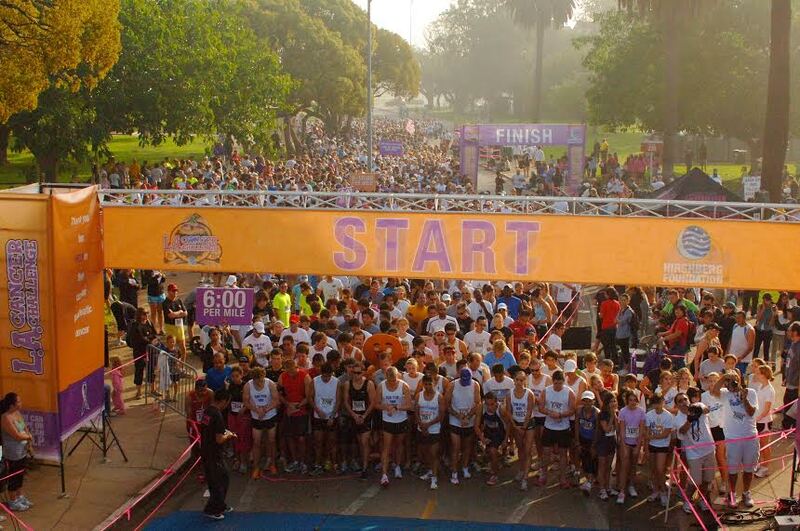 LOS ANGELES, CA – Get ready for the return of the 17th Annual L.A. Cancer Challenge 5K/10K Walk Run on October 26th. Honorary chairperson actor Michael Muhney of “The Young and the Restless” and “Veronica Mars”and Curt Sandoval, sports anchor with ABC7 Eyewitness News will be joining in the festivities. Now in its 17th year, the LA Cancer Challenge 5K/10K Walk/Run (LACC) is another step closer to finding a cure for pancreatic cancer. Held on Sunday, October 26 at the Veteran’s Administration Grounds in West Los Angeles, the annual Halloween-themed family-friendly charity event will benefit the Hirshberg Foundation for Pancreatic Cancer Research. 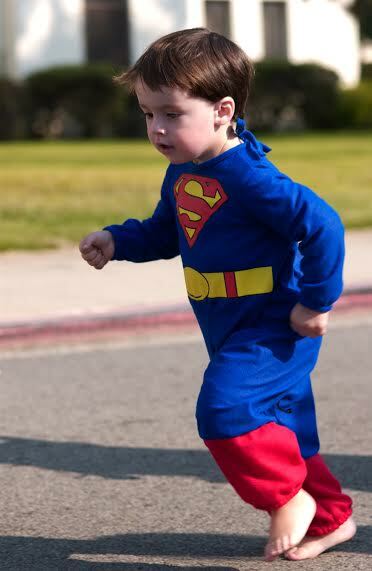 As one of Southern California’s largest and most popular charity races, the LACC includes: Kids Can Cure Fun Run; Fit Family Expo; Halloween Kid Zone with pumpkin decorating; live entertainment and a Halloween Costume Parade & Contest. Nearly 5,000 men, women and children of all ages are expected to attend with many of them dressed in festive Halloween costumes. “Each year, the LA Cancer Challenge brings awareness about pancreatic cancer to more people as well as raises money for much needed research,” said Lisa Manheim, executive director, Hirshberg Foundation. “As we continue to move forward, we see progress in research and treatment bringing us closer to finding a cure.” To date, the LACC raised over 5 million dollars for pancreatic cancer research. According to the American Cancer Society: Cancer Facts & Figures 2014, an estimated 46,420 Americans will be diagnosed with pancreatic cancer in the U.S. and over 39,590 will die from the disease. Pancreatic cancer has the highest mortality rate of all major cancers. 94% of pancreatic cancer patients will die within five years of diagnosis. Only 6% will survive more than five years. 74% of patients die within the first year of diagnosis. Pancreatic cancer is the 4th leading cause of cancer-related deaths in the US and is one of the few cancers for which survival has not improved substantially for more than 40 years. The LACC is the Hirshberg Foundation’s signature fundraising event. The public is invited to register as individuals or teams. 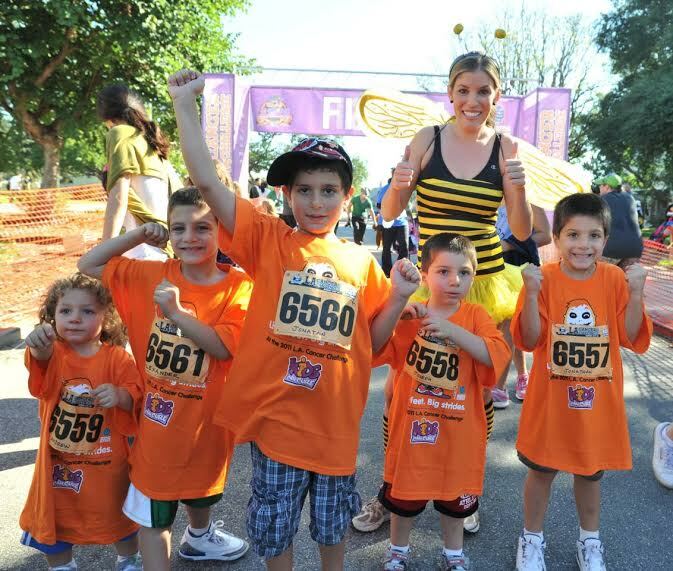 Early registration will remain open through October 3: $35 (5K OR 10K);$40 (5K AND 10K) and $20 (Kids Can Cure Fun Run ages 2-10). Late registration is open from October 4 – 24 ($40 for the 5K OR 10K) and ($45 for the 5K AND 10K). 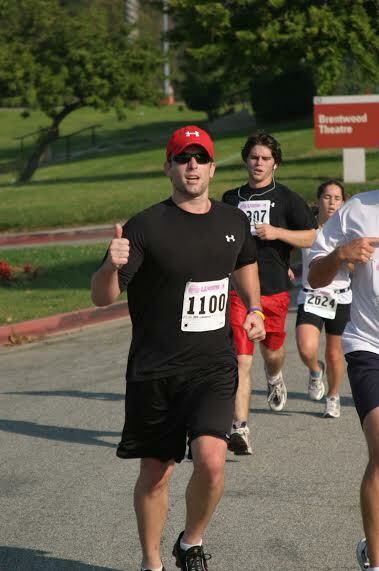 For more information or to register for the LACC, call 310-473-5121 or visit www.LACancerChallenge.com. Online registration ends October 24. How else can you help? Wear purple! Show support by wearing a purple wristband embossed with the Foundation’s motto: You can hope, or you can help. Bands are $2.00 each and are sold in packs of 10. To make purchase or simply make a donation, please visit www.pancreatic.org or call (310) 473-5121. About the Hirshberg Foundation: Founded in 1997, the Hirshberg Foundation for Pancreatic Cancer Research is a national, non-profit organization dedicated to advancing pancreatic cancer research, and providing information, resources and support to pancreatic cancer patients and their families. Established by Agi Hirshberg, whose husband Ronald died of pancreatic cancer at the age of 54, the foundation includes the Ronald S. Hirshberg Translational Pancreatic Cancer Research Laboratory; the Ronald S. Hirshberg Chair in Translational Pancreatic Cancer Research; and the Hirshberg Pancreatic Cancer Information Center. Initial funding to UCLA allowed Seed Grant Program to extend to 24 Medical Research Institutions domestic and international. The Hirshberg Foundation for Pancreatic Cancer Research is a California charitable non-profit, corporation. It is a tax-exempt organization under Section 501(c)3 of the Internal Revenue Code. The federal tax ID number for the foundation (EIN) is 95- 4640311. All donations are tax-deductible to the extent allowed by law. SCV Youth Project Heralds in a New EraWritten by Margie Anne ClarkVALENCIA, Calif. – As part of its continuing legacy of providing on-campus support to the valley’s young people, the SCV Youth Project recently named California State Assemblyman Cameron Smyth as its Chairman Emeritus. The bustling and well-attended cocktail reception was held at Poole and Shaffery, LLP in Valencia on Sept. 10. Smyth, a past two-term mayor and life-long resident of Santa Clarita, lauded the work of the SCV Youth Project for its stewardship to youth who face such serious issues as drug/alcohol abuse, anger, divorce, peer pressure, suicide, grief/loss and depression. “The SCV Youth Project plays such a critical role in our community, particularly in our school system,and I am just proud to be associated with such an amazing organization,” Smyth said. Having served on the board of the SCV Youth Project for more than five years, Smyth expressed his thanks to the leadership of the non-profit organization for its continued dedication to helping youth achieve their full potential in life. “While it is with great pride that I accept the title of ‘Chairman Emeritus,’ the true credit belongs to the entire board and staff who work so hard on behalf of the young people of Santa Clarita,” the 38 th district assemblyman added. Presenting honors to Smyth were Kim Goldman, executive director of the SCV Youth Project, and John Musella, board present of the SCV Youth Project. Also in attendance were SCV Youth Project board members along with local dignitaries and business leaders. Musella, who recently succeeded long-time SCV Youth project board president Stacy Miller, said that he is looking forward to helping to meet the needs of the valley’s youth as the organization and the community continues to grow. For more information, about the SCV Youth Project, call (661) 257-9688 or visit the website at www.HelpNotHassle.com. Margie Anne Clark is a local journalist/event photographer and government liaison residing in the Santa Clarita Valley.